March 13, 1988, Deaf President Now! protest at Gallaudet University, a college for the deaf and hard of hearing, which culminated in the naming of the institution’s first deaf president. President Abraham Lincoln’s April 8, 1864 signing of Gallaudet’s charter. April 15, 1817 opening of the American School for the Deaf, the first permanent public school for the deaf, in Hartford, Connecticut. The history of the Deaf* community largely centers on the educational experiences of deaf Americans. During the 19th century, residential schools for the deaf opened nationwide and became the epicenters for a burgeoning Deaf community and culture. The opening of Gallaudet University allowed many deaf individuals to pursue higher education at a time when few Americans went to college. American Sign Language (ASL) emerged as a language and was embraced at these schools. However, ASL saw a backlash in the wider society in the latter part of the century. Opposition was influenced by the nationalist and eugenics movements of the era, which viewed ASL as inferior, foreign, and a barrier to assimilation. Telephone inventor Alexander Graham Bell was a leading proponent of "oralism" or the method of teaching deaf people to communicate using speech and lip-reading. By 1880, ASL was banned in many schools for the deaf. Nonetheless, ASL continued to thrive outside of schools among members of the Deaf community. Deaf Americans saw many new opportunities in the 20th century. Employment in the job market increased, especially during WW1 and WW2, and technology such as closed captioning enabled deaf individuals to participate more fully in society. In the 1960s, ASL began to be understood as a bona fide language with complex grammar and vocabulary. 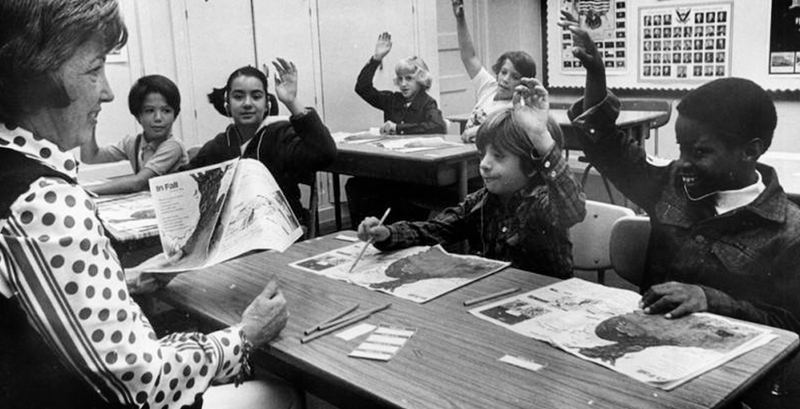 As a result, ASL re-emerged in classrooms and schools for deaf students. Many high schools and colleges even began offering ASL to meet foreign language requirements. Alongside other disability rights advocates, the Deaf community fought for and achieved legislative changes, most notably the Americans with Disabilities Act in 1990. The story of the Deaf community continues to be one in the making. Technologies such as cochlear implants and educational trends like the closing of residential schools have stirred debate and change. Increased awareness of diversity within the community is reflected by groups such as the National Black Deaf Advocates and the Rainbow Alliance of the Deaf, among many others. These are a few examples of how the Deaf community continues to take shape into the 21th Century. *The uppercase “D” in the word Deaf is used when referring to the group of people who share a language (American Sign Language) and culture, while deaf spelled with a lowercase “d” is a label describing the audiological condition of a partial or complete lack of hearing.